Lacrosse is a huge sport that's extremely popular worldwide, but does it deserve to be on consoles? Check out my first impressions of Casey Powell Lacrosse 18. 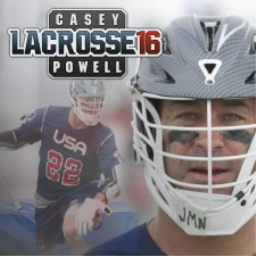 Only revealed to the world last month, Casey Powell Lacrosse 18 was originally scheduled to release today. Unfortunately, Australian developer Big Ant Studios has been forced to delay the sports title. There were seven titles revealed over the three days, including a shooter involving flying cupcakes, the latest lacrosse title, and hide and seek with witches. The PlayStation Store has entered its fourth and final week of the special Holiday Sale for the month of December. Discounts of up to 75-85% off are in place to close things out come January 3rd. Additions, fine-tuning and fixes come to Big Ant Studios' sports title Casey Powell Lacrosse 16. The patch includes fixes to the camera, AI, sprint ability, and plenty more. The first Casey Powell Lacrosse game with trophies was Casey Powell Lacrosse 16, which was developed by Crosse Studios, published by Big Ant Studios and released on 09 March 2016. 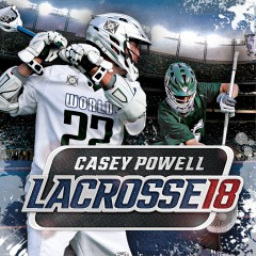 Since then there has been 1 more game in the series with trophies - Casey Powell Lacrosse 18 which was developed by Crosse Studios, published by Big Ant Studios and released on 17 April 2018.